Eliminating the variables associated with a pipe burst, flood situation, or water heater loss, requires expertise at the highest levels, and this is why people trust in our water damage Larkspur team at 911 Restoration of Douglas County to carry you through the tough times with their exceptional services. Abating the effects of a water damage scenario requires expediency and this is our water damage Larkspur staff will arrive within 45 minutes of the distress call they receive. In addition to being able to arrive fast and get to work immediately, our water damage Larkspur technicians are also available 24/7/365. This means that even if a pipe breaks in the middle of the night, our water damage Larkspur members will be able to stop it from causing more damage by stagnating until morning. If your lovely home is already experiencing a water heater flood, pipe burst or any other issues, then contact our IICRC certified water damage Larkspur agents today! Our water damage Larkspur specialists have seen and solved all imaginable forms of water damage in their time, and this is how they know precisely what to do in every situation, but they are also experts when it comes to helping folks to prevent damages in the first place too. Take the time now and again to trim the trees that surround your home or business. These can have dead branches that may fall under the pressure of heavy rain and then impale your roof which can introduce water damage to the inside in short order. Have a plumbing or restoration expert come and inspect your whole system and property for any troubled sections that might develop into water damage down the road. Check your pipes on your own now and then to spot any rust or dripping areas, as these might be a sign of corrosion and a future pipe burst area when put under pressure. Inspect the hoses, fittings, and even the metal connectors that link up your home’s appliances to the main water line. These can experience wear and tear and if they fail they will spread water damage throughout the whole room. Test your sump pumps for action and durability at least once a year if not once a season to make sure they are in perfect working condition for when the next rain hits. If your home or business is already experiencing a pipe burst or water heater loss, then don’t wait for it to grow mold and fungus infestations too. Contact our water damage Larkspur pros and get all the help you need to remedy the situation today! Our water damage Larkspur crew have taken on all the different kinds of water related incidents that exist in this industry and that’s what gave them the fortitude to handle a recent pipe burst job that they were called out on. After the water was all eliminated, our water damage Larkspur unit were able to extract all of the soaked building materials such as drywall, and baseboard that had been underwater for a full day. Once our water damage Larkspur workers have pulled all of the water logged materials, we were able to begin the dry-out process so that there was no chance of mold growth forming. 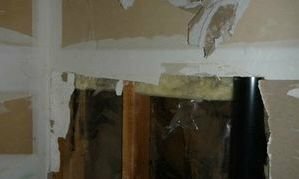 Preventing mold is far easier and cheaper than the whole process needed to remove it after it has started growing, so the homeowner was really happy that our water damage Larkspur operation was able to start work so quickly. If your home is filled with water from a pipe burst situation, then don’t wait for it to grow mold too. Call our water damage Larkspur workers at 911 Restoration of Douglas County for all the help you and your living space need today!